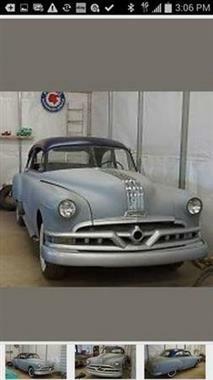 1951 Pontiac Chieftain in San Diego, CA for sale. 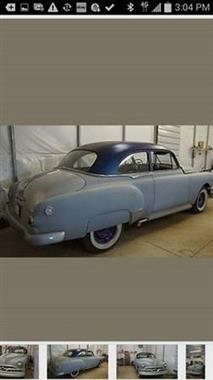 1951 Pontiac Chieftain that has ALL body work done solid no rust frenched headlights new rear tail lights shaved handles glass is all there needs weather seals, 12 volt conversion kit purchased car has a straight 8 that you can hear run, motor has been rebuilt in the past 10 years I pulled the head inspected everything and got it running, new floor pans dash has been smoothed ready for paint. car is complete minus seats, carpet, headliner and door panels...car needs wired.. 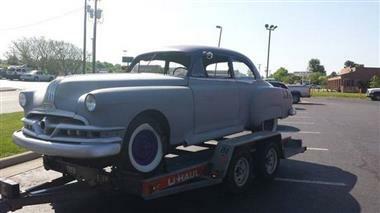 This vehicle is priced $6,697 less than the Average Market Price of $12,197 for a 1951 Pontiac Chieftain. This is a Good Deal as it's priced 55.0 % below market avg. The Pie chart below shows the number of ads within different price ranges.